We’ve been living in the Ideal House now for a couple of weeks, and although we don’t have elaborate monitoring equipment setup yet, we’ve been sitting around 22-23 degrees day and night with no heating. The air quality is superb and the home is so quiet it drowns most of the world outside out. Needless to say we love it! We have lit a sneaky fire a few times, and enjoyed the extra ambiance it offers on a cold day. 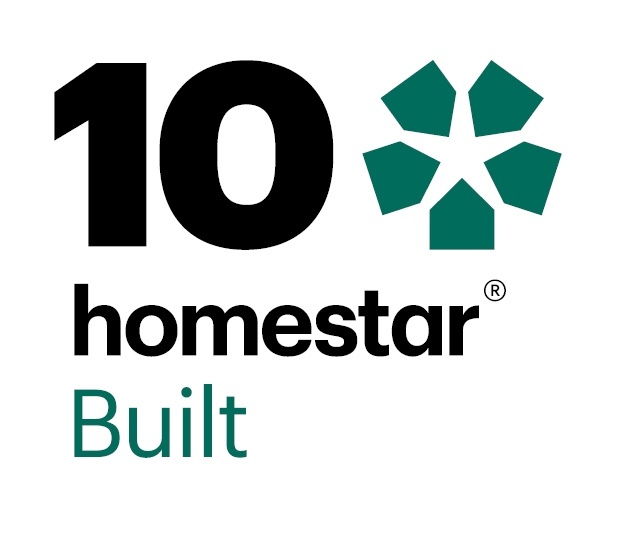 Denise from eZED in Queenstown came up last week and completed the final blower door test for Passive House Certification, and we hit around 0.45 air changes per hour, at 50 pascals, so we smashed the target of 0.6. Celebrations all round! 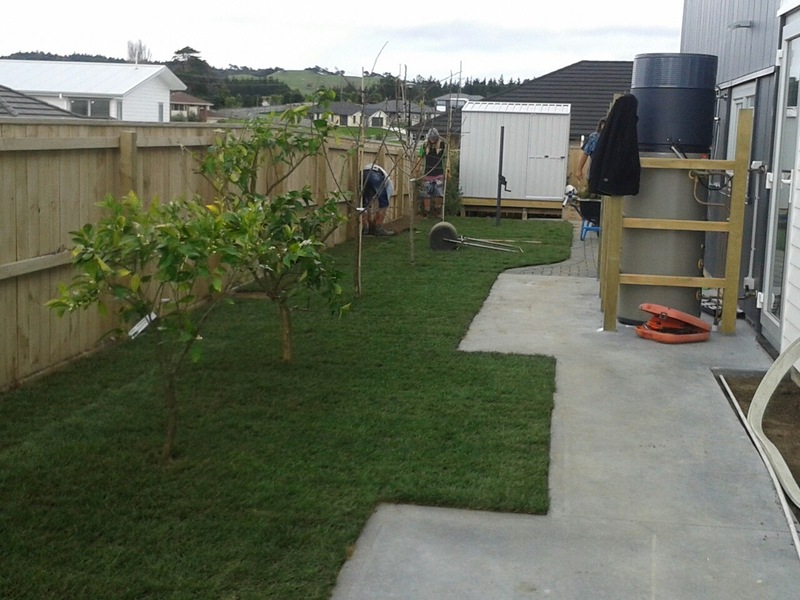 Paula and Denise from eZED have recently completed a great paper for the Building a Better NZ conference, and if you’re interested in eco or energy efficient building it’s a must read! Although we’re still waiting on Contact Energy to get our power connection live and then our PV connection sorted (yes, over 7 weeks now for what should be a simple change), we hope to be able to get our PV panels connected and working soon. Such as waste to have them sitting there doing nothing! Our Mitsubishi Outlander PHEV is a delight to drive, and we’re getting about 30-35kms on a full charge before the petrol motor kicks in (and then works like a hybrid). Although it only costs a couple of dollars per charge, it will be even sweeter once we’re using free power from the sun. 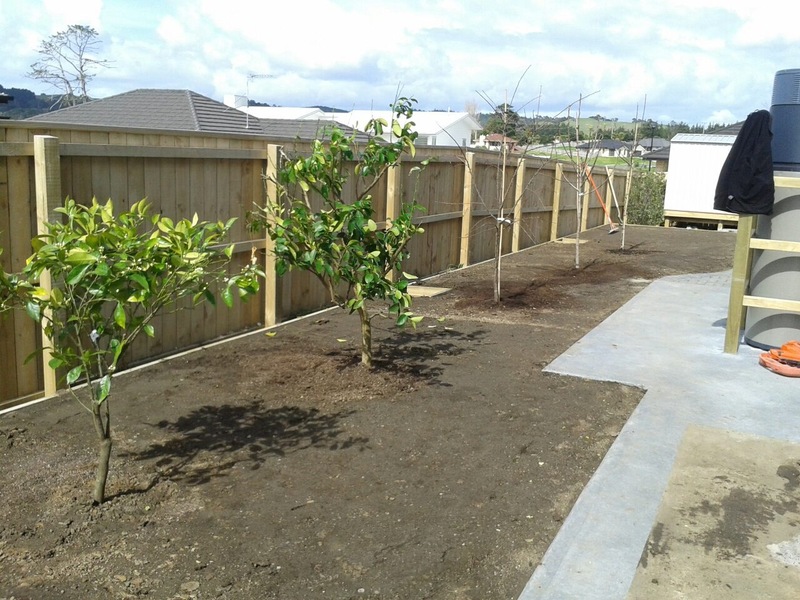 The landscaping is in the final stages of being completed, aiming for our 25% coverage of natives, 90% permeability as per our Homestar targets, as well as all the fruit trees and veggie gardens. 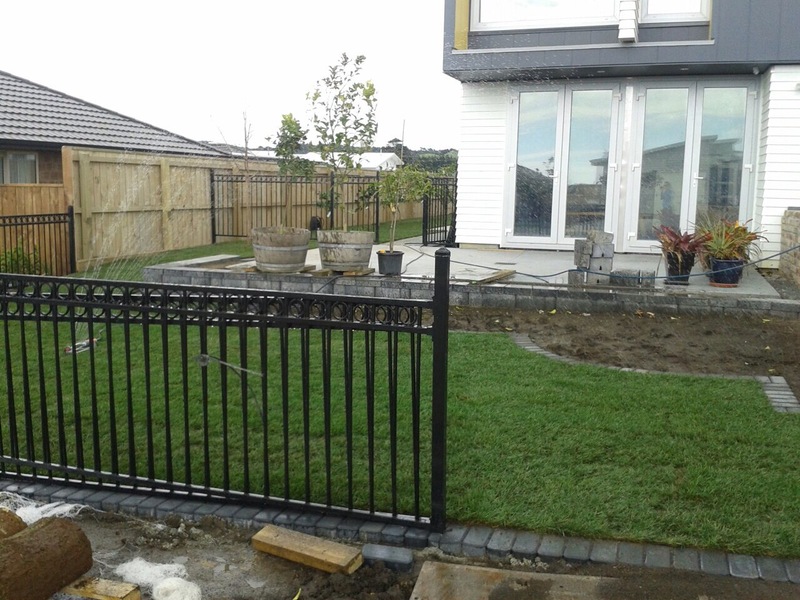 Paths, lawn and fences are now all in, and most of the planting. We have a photo shoot for Trends coming up in a few days, and are planning for our Grand Opening and Networking Event mid October, which will be hosted by Westpac. Contact hello@idealhouse.org to register interest to attend. 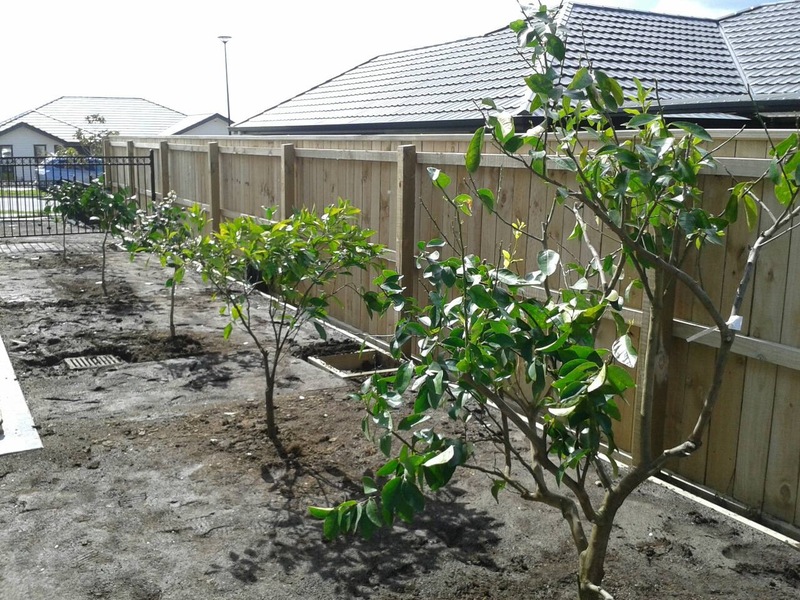 We should have some great photos early next week once the home is staged and ready, but a few snaps over the past couple of weeks below (prior to the most of the plantings which are now in). 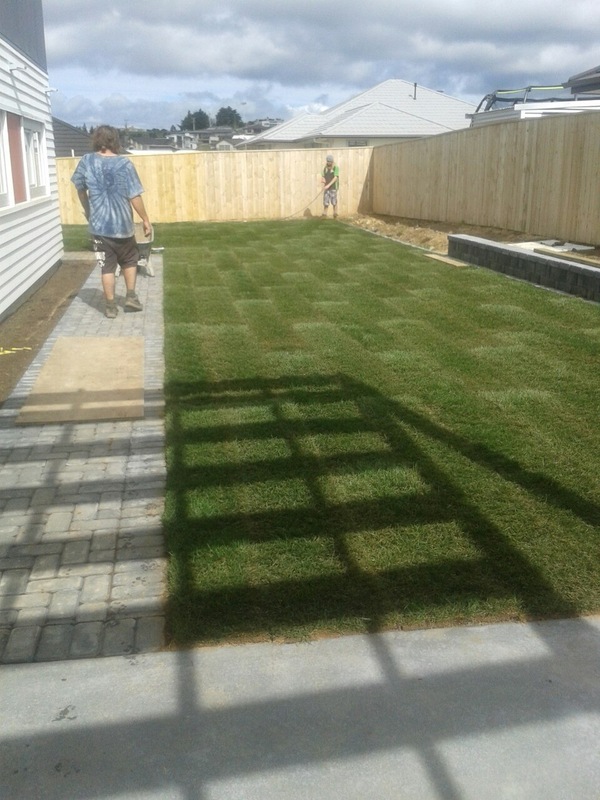 Our landscaper Tyrell & team working on the new lawn. A shot of the front of the house. 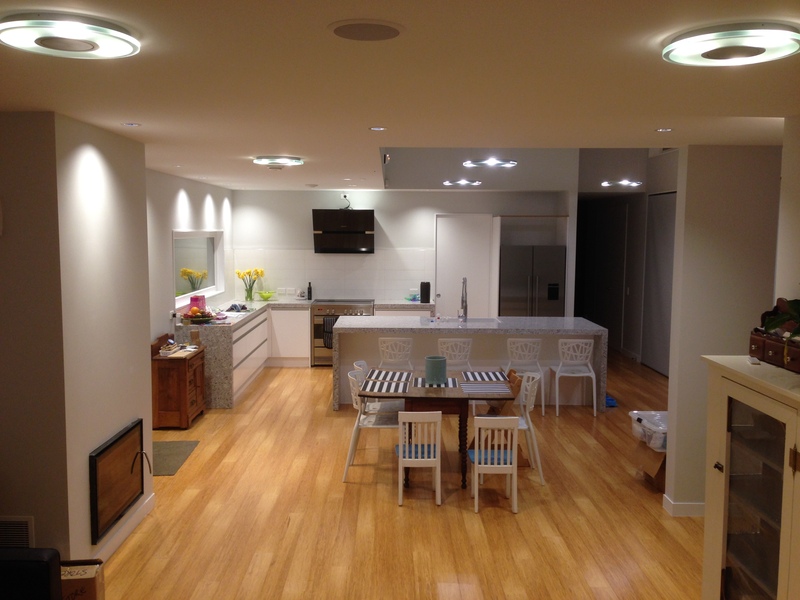 Looking from the lounge, through the dining are to the kitchen.